I’m a product manager by chance. I didn’t dream of becoming a product manager as a kid. I never got a university degree in product management (or any other for that matter). It just somehow happened. I’m a copywriter and startup co-founder, turned product manager. 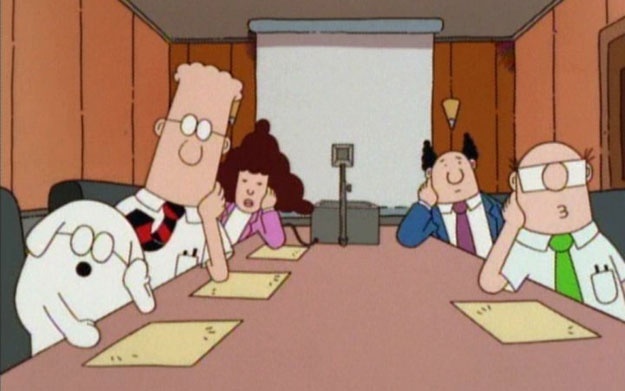 Nowadays, while trying to hire product managers for my team, I started wondering where do product managers come from. So I did what product managers do. I looked for data to play with. 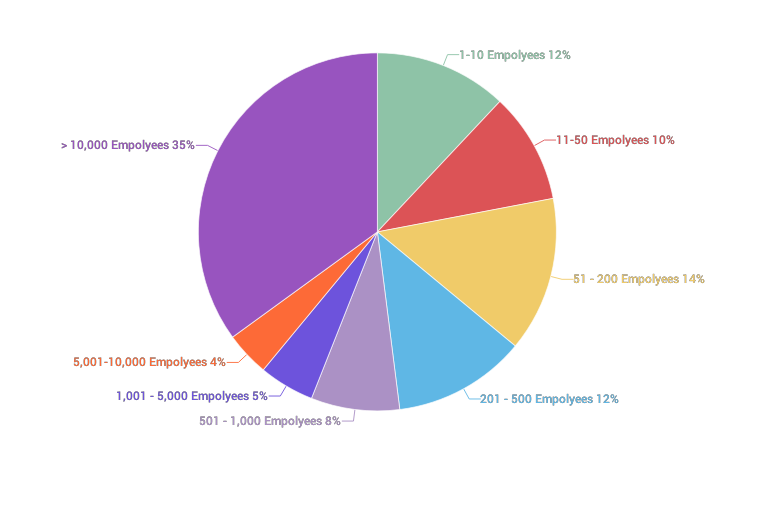 Using Linkedin, I gathered 1,000 random profiles of product managers in the United States and analyzed their education and job experience. – Less than half of product managers have a technical education. – The most popular degrees product managers acquire are Computer Science and different kinds of Engineering. – Only 11% of Product Managers started their careers in product management. – Product Managers are big fans of MBAs. – Google & Facebook are big fans of technical Product Managers. – Looking to hire a product manager? Try stealing one from R&D. 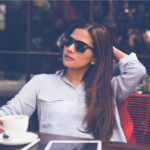 – Looking for your first product management job? Might be easier to try in a really big company so they won’t notice you know nothing. 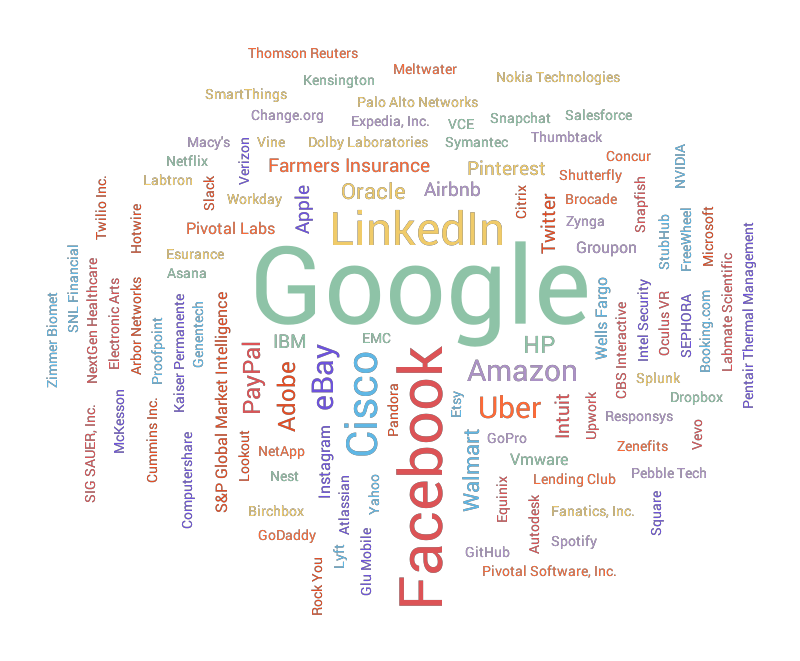 I analyzed my own Linkedin network. I’m a web product manager living in Israel, so my dataset probably leans towards that as well. Even though there are product managers in nearly every commercial industry, here I focus on my own world. Get the exclusive data and facts behind our research! Before we’ll analyze the results, let’s quickly align on the definition of Product Management. 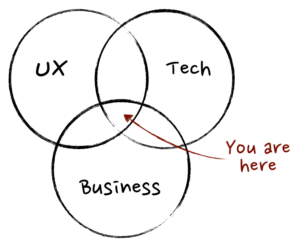 A product manager is a unique creature in the startup and technology world. We are involved in almost every piece of the business, but not necessarily experts in anything in particular. We set timelines, plans, and expectations, but not necessarily manage the people who work according to those plans. So after establishing the definition of a product manager, what makes someone qualify to be one? Do they need to be proficient in all three disciplines we mentioned? Do they need to be a natural born leader and strategist? 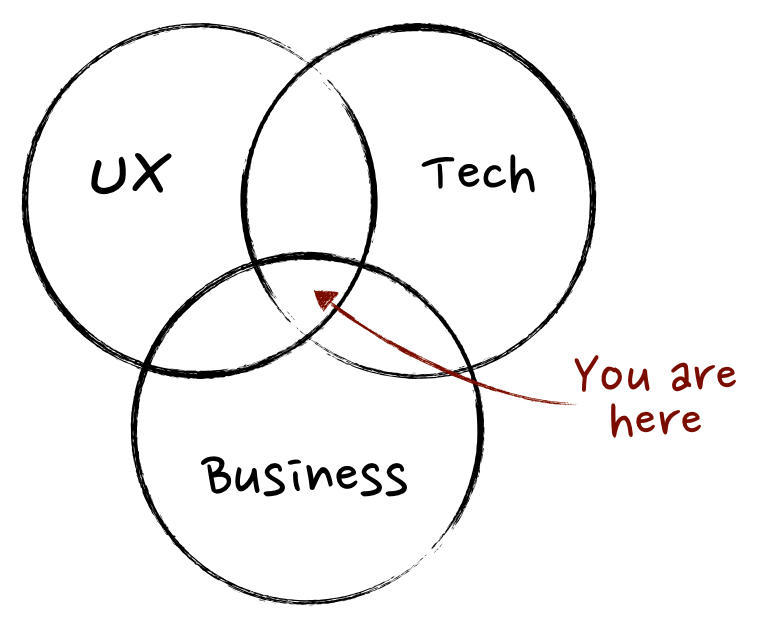 How can I know who to hire and more importantly- How can someone become a product manager? The first factor I looked at for discovering the road to becoming a product manager was their academic education. As someone who managed to make it through 1.4 semesters before dropping out to do his own thing, I was hoping to find more like me. I didn’t. 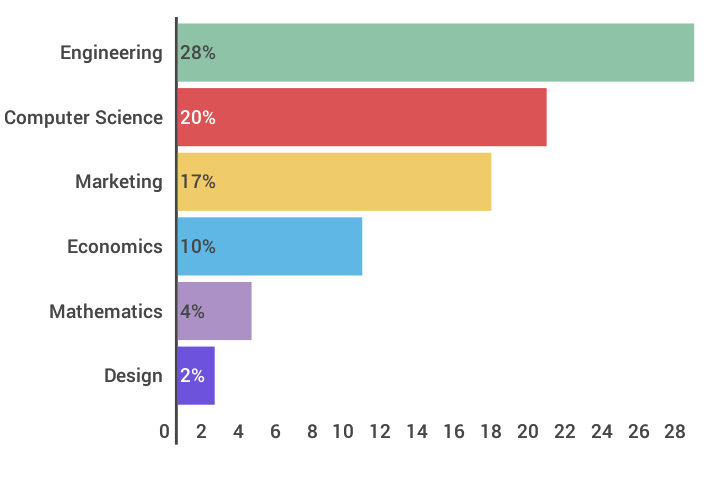 Given there isn’t a degree in ‘Product Management’, but only a few classes, I found that the possible academic backgrounds of product managers are quite diverse (even though engineering rules them all). Out of the entire dataset of Product Managers, only 2% did not have any form of higher education (that number might even be lower as not everyone bothers to spit shine their Linkedin profile). On average, every product manager is the proud owner of 1.8 degrees, and the median number is 2. 45% of product managers are technical by education (studied Computer Science or some form of Engineering). So the good news is there are many ways to become a Product Manager. You can have both a technical and a non-technical background and still get to the promised position. The bad news is you better get yourself ready to do some serious studying first because companies like their product managers educated. I’ve also seen that quite a few PMs went to various product management classes. “We’ve seen that the position they land after graduation is heavily dependent on their prior work experiences. Alumni who held more senior or relevant jobs such as management consultants, senior engineers or UX designers frequently land jobs as PMs, while alumni with less relevant experience found jobs as associate product managers, business analysts, or entry-level associate consultants”. The more you can learn about actual product management, the better, but having actual work experience can’t hurt. Almost 1 in every 4 product managers holds an MBA. 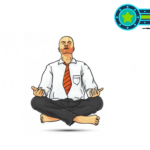 These product managers come from different academic and occupational backgrounds, but it seems an MBA can be a great ‘fast forward’ button to becoming a PM. After all, we did say a product manager is supposed to have a good understanding of various disciplines, and what’s more various than an MBA. The all-in-one of academia and the all-in-one of tech go pretty well hand-in-hand. The second factor I looked into was the product managers’ occupational backgrounds. One of the tricky parts about becoming a product manager is that most workplaces require experience, but experience is hard to come by. That might be one of the reasons why the grand majority of PMs start their careers in other fields. We might also just be late bloomers. 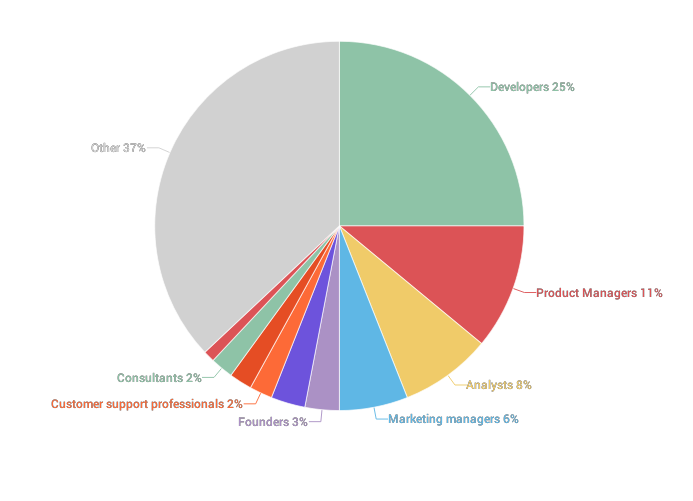 Only 11% started with product management as their first job. Many started in other departments and only then shifted towards product management. Even though the most common route to Product is from R&D, there are quite a few other options. Much like with what product managers study, the biggest group here has a technical background, but it’s far from being the majority. All roads (can) lead to Product. Another assumption I had, was that a small company would be more willing (or desperate) to accept a product manager with no experience, given a smaller recruiting pipeline and potentially a lower pay. Looking at the list of companies where product managers got their first jobs, it’s hardly the case, with names such as Microsoft, PayPal, Google Yahoo and others. Big companies with over 10,000 employees seem to be more likely to accept a rookie product manager, perhaps because there are enough veterans to help with training. Another thing I looked into is whether there’s a difference between product managers in Google and in Facebook, in terms of academic background. Looking at these numbers, it seems there aren’t big differences between product managers in Google and in Facebook. With that said, there are quite significant differences between the two companies and the general average. Product managers in both Google & Facebook are much more technical than average. It seems the classic product manager got a degree in engineering and worked as a developer for a couple of years before seeing the light of product management. With that said, as a proud outlier to statistics, I can testify (and now also show some numbers) that there are numerous ways to get into product management. Whether you studied one semester in film school or got a degree in nutritional science, if for some reason you decided product management is your thing, there is a way.